Teeth can accumulate damage in a variety of ways, increasing risks of tooth decay, gum disease and tooth loss. Fortunately, patients can often reduce or prevent damage by making certain lifestyle changes. Here are three ways that you are destroying your teeth. Acid dissolves enamel while sugar feeds bacteria that cause decay. Together, acids and sugars form a powerful destructive force against healthy teeth. In addition to avoiding soft drinks sweetened with high-fructose corn syrup, you should limit your consumption of undiluted fruit juices. Hard teeth may seem suitable for breaking open packages or gnashing down on rock-hard fried pork skin, but activities like these can crack or break teeth and predispose you to tooth decay and infections. To avoid having a dental emergency in Torrance, always stay aware of foods that present risks of damage and use appropriate tools instead of teeth for all non-food items. 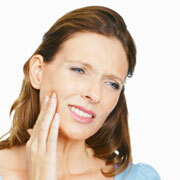 Bruxism, or teeth grinding, is commonly seen in patients who are experiencing major stress. Because bruxism usually occurs at night, many sufferers do not know that they are gradually wearing their teeth down with this unconscious habit. Over time, bruxers may also fracture their teeth or damage supporting dental structures. These are far from the only activities that can destroy teeth. For example, coffee stains can erode teeth, and smoking can discolor teeth and raise risks of gum disease. To learn more about habits that damage teeth, you can schedule a consultation with our dentist in Torrance.